One of the leading causes of water damage in homes is leakage from the various plumbing, fixtures, and appliances in your house. 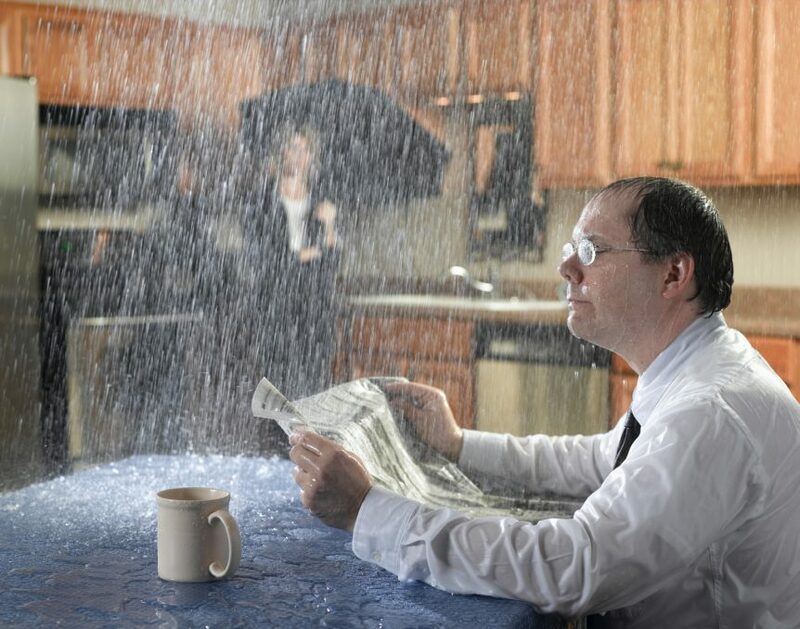 There are 5 common causes of water leaks. The purpose of this article is to draw attention to these common causes of water leaks so that you can better diagnose the root of your problem. It’s not always simple to pinpoint the cause of certain leaks, however, and we are here to help if you have any questions. Feel free to give us a call anytime if we can help! Clogged plumbing from your toilet, sinks, showers, and drainage pipes (i.e. from washing machines, etc.) are common in most households. Hair, food, grease, toilet paper, the occasional children’s toy, etc. are all culprits at one time or another, but the result is usually the same. Sinks, fixtures, toilets, and appliances will show signs of slower drainage, and eventually, they will begin to leak or overflow causing serious problems. Unclogging pipes and drains can be a tricky job, but with some proper know how or the help of a professional, you should be able to fix these types of leaks before major damage is done. 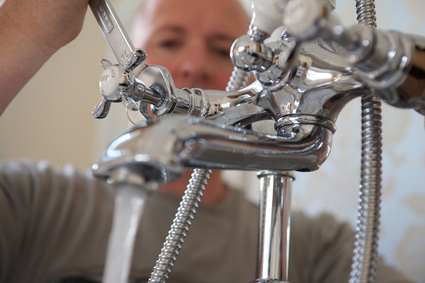 Maintenance of your drains and pipes is crucial to making sure you do not have a huge problem on your hands. The above cause of leaking can be much harder to detect. After so many years of use, pipes naturally begin to rust and deteriorate, eventually leading to cracks and crevices that release various amounts of water. Also, natural shifting of your house frame or foundation can cause the joints in your plumbing to loosen or separate, which causes water leaks. Sometimes it’s only a drop or two per minute, other times it’s a steady stream of water that leaks. All of this water has to go somewhere and can cause a damages if the leak is not detected and repaired in a timely manner. Detecting the leak is the tricky part, which is why video line inspection is so important these days. Many of your heating, ventilation, and air conditioning (HVAC) units have drainage pans and other systems for dealing with condensation and waste water. These things often require manual draining and can overflow if unattended for long periods of time. Be sure to check them often, especially during the hot months when AC’s produce a great deal of condensation. The plumbing going into and coming out of a water heater is also a common point of water leaks. These leaks are often caused by rusting, deterioration, and sediment build up inside of older tanks. Most hot water heaters will have many valves and filters that can get “clogged” or blocked up from this sediment, which in turn, leads to water leaks. This is sort of the reverse scenario for leaks, as it will happen outside of your home – but it’s a leak all the same, and can cost you a lot of money in water bills and repairs. What happens is that the plumbing and sewage pipes coming out of your home deteriorate over time, springing small leaks of vapor, which attracts roots to grow towards them. Certain methods such as hydro jetting could be a solution to the problem. When roots grow into your pipes, they can cause even bigger clogs and leaks, seriously impacting your water pressure and increasing the water usage on your monthly bill. This is a serious problem and requires professionals to detect and fix correctly. If you suspect you may have external leaks or roots growing into your plumbing, give us a call immediately and we’ll come give you a FREE consultation.